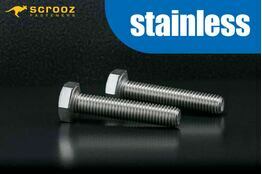 Manufactured in high performance corrosion resistant 304 standard grade stainless steel to European standard DIN 933. Supplied complete with corresponding hex nuts and 2 free washers per bolt in the box or pack. 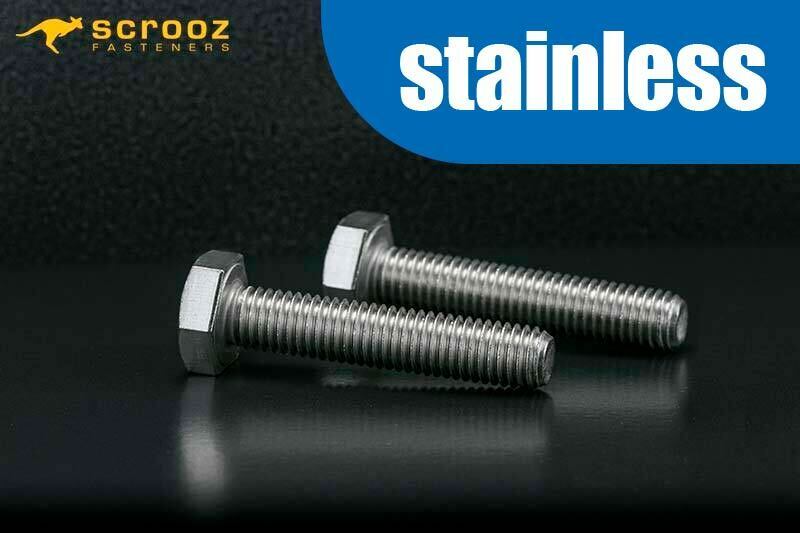 Matching plain and lock washers also available along with nylon locking nuts or dome nuts for a neat finish if required. 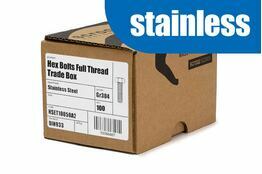 Also available to order (usually 24 hour turnaround) in 316 grade stainless steel, contact us for pricing.